Martin J Ward wants is aiming to crown the best year of his career by landing the vacant European Super-Featherweight title against Juli Giner at a sold-out York Hall, Bethnal Green on Wednesday December 13, live on Sky Sports. 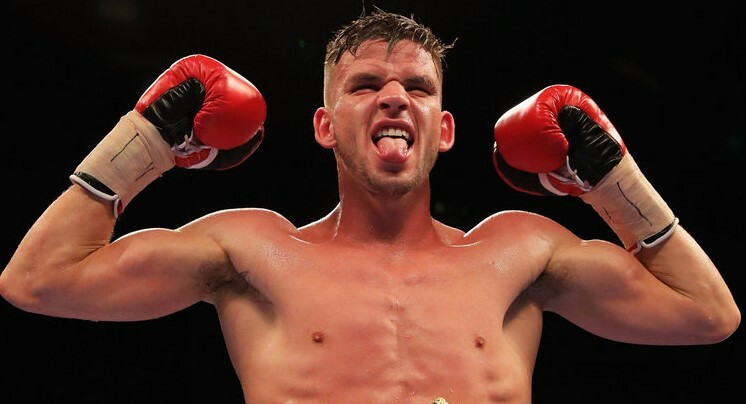 Ward landed the British title for keeps and took the Commonwealth strap from previously unbeaten Anthony Cacace in July, and the 26 year old can tee up an even bigger year in 2018 by beating Giner. The 24 year old Spaniard is looking to regain the title he landed in November 2015 and has been on Ward’s radar in the past – now the pair meet in a scrap that the hometown favourite believes he’ll have too much for the visitor. “I’m really excited for this fight, I can’t wait for it,” said Ward. “It’s my time to win this European strap, I’m going to take the opportunity and grab it with both hands. “As soon as I turned pro, my aim was to win the British Title first. After I won the title outright I thought to myself “What’s next?” and this is the next natural progression on from that. “We got the British Title defences in the bank and then won the Commonwealth which put me forward to be mandatory for this European title. I’ve got the Championship rounds behind me against some good operators so far, I’ve got to just keep on progressing and going through the levels. “We looked at Juli Giner a couple of years ago as a potential opponent. We tried to get the fight on, but it didn’t materialise. I’ve watched him over the last couple of years so he’s been on my radar. I think I’ll have too much for him on the night, there’s no two ways about it that title is coming home with me on December 13. “Since the fight has been made, I’ve looked back over him but I don’t tend to watch too much. I’ll leave the strategy and planning to Tony but I’m confident I’ll have his number. coming to knock my block off. It’s my job to put him in his place. “It’s my goal to be a World champion but I have Giner in front of me first, I can’t be overlooking him at this stage. Ward and Giner clash on a big night of action in east London, topped by Katie Taylor’s first defence of her WBA World Lightweight title against American Jessica McCaskill. Jake Ball and Miles Shinkwin clash for the WBA Continental Light-Heavyweight title, Team GB Rio Olympians Joe Cordina and Lawrence Okolie look to end their first term in the paid ranks on a high, Birmingham’s Gamal Yafai and young Essex talents Felix Cash and Ted Cheeseman also taste action.